Caroline Jones is a singer, multi-instrumentalist, songwriter and host of the US radio show Art & Soul on Sirius XM. She has recorded her album Bare Feet with Grammy and Acadamy Award winner Ric Wake (known for working with Mariah Carey, Celine Dion, Whitney Houston, Trisha Yearwood). 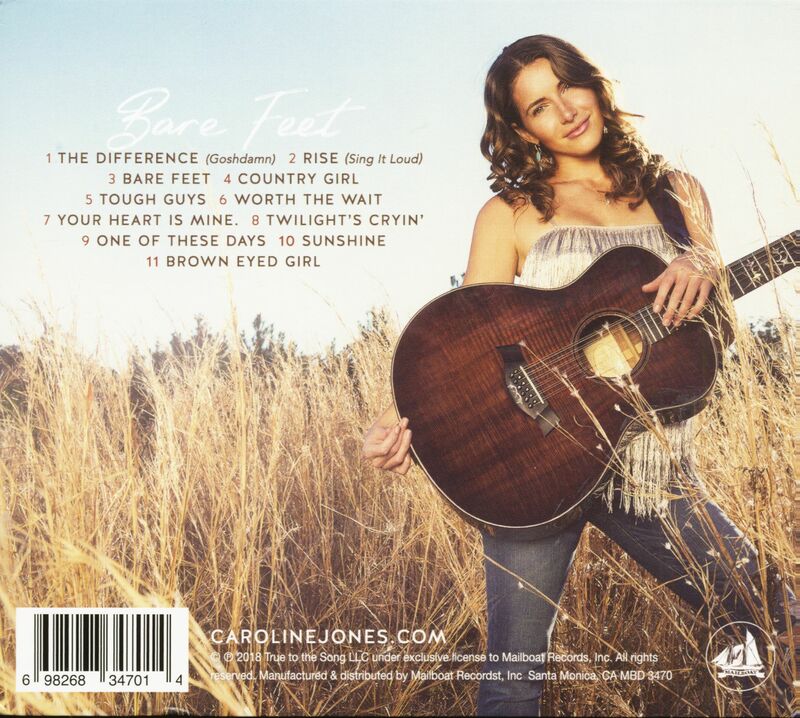 US Rolling Stone magazine calls Caroline Jones "an ambitious virtuoso on guitar who brings back the glory of the 90s pop country scene". In 2017 she toured with the Zac Brown Band, sharing a stage with Jimmy Buffet, Kenny Chesney, and Toby Keith. A live duet with Jimmy Buffet has led to a charity single release and an immediate partnership with Mailboat Records. Customer evaluation for "Bare Feet (CD)"